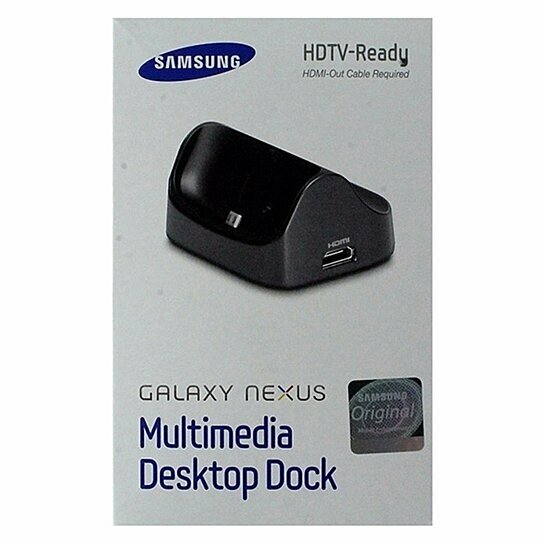 Samsung brand Multimedia Desktop Dock for the Samsung Galaxy Nexus. Black and Dark Gray finish. Features: HDMI Movie / Video Viewing, Desktop Speakerphone, Desktop Stereo - Compatible with 3.5mm Audio Devices, and more. Micro-USB charger included.